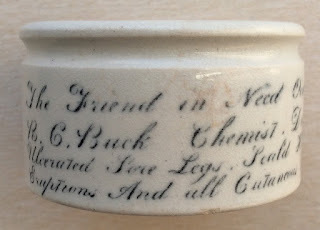 The chemist and druggist business Richard Capelton Buck was based at High Street, Dudley as early as 1842. The business was taken over by P.P. Baker in 1865. 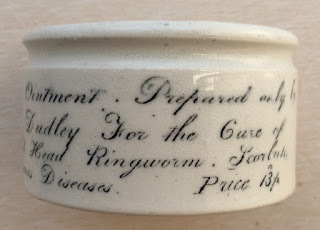 An interesting pot with script writing all around the pot detailing the cures. book produced by Messrs. Houghton & Priestley page 72.